First consultation and placement assessment is offered to new clients at no charge and without obligation. Q: What can I expect from the First Consultation? A: The first consultation provides an introduction to the instructor and a basic overview of how the program of choice can meet your needs. During the consultation, you may choose to take the Artist Assessment to determine placement within the program. Each program track accommodates beginner and intermediate levels, and the vocal track is extended to accommodate advanced level artists. Q: How much training and experience should I have to begin lessons? A: FindYourVoice2 is currently enrolling for all levels of study, from beginners with no experience to advanced levels in some program tracks. Q: How old / young do I have to be to benefit from FindYourVoice2 lessons? A: FindYourVoice2 lessons are designed to benefit student artists of all ages, from as young as 5 years old to 85. Special considerations are made for our youngest students, particularly in vocal study to accommodate the developing voice. Each program's curriculum contains modifications for appropriate age groups in their chosen level of study. Q: What do I need to prepare for a lesson? A: Once enrolled in a FindYourVoice2 program track, practice schedules and assignments are provided with clear instructions on preparing for your next lesson. Q: I know lessons are offered in my home, but do I need a special room or equipment? How does that work? A: While having a special room for lessons is great, it is not necessary. Lessons can be conducted in any space such as a living room or study. Having a pleasant space free of clutter and noise is recommended. Vocal and acting lessons require space to move, so items such as coffee tables should be moved aside to allow free flowing movement. Piano track students need to have a piano (or keyboard with weighted keys) in their home. Vocal track students taking in-home lessons need a full length mirror, a simple speaker (that connects to MP3 or CD), and are strongly advised to have access to a piano or keyboard. Acting track students need video equipment (simple smart phone camera is perfect), audio recording ability (smart phone app), full length mirror. A: Lesson prices vary depending upon location, number of students per session, and package/ payment options. We will make every effort to work with you to design an affordable package that meets your needs. Discounted pre-paid package rates are available. Please contact us to discuss options with no obligation. Q: Can you teach me / my children on a weekly schedule? A: For most artists, especially for beginning and intermediate students, a regularly scheduled weekly 45 minute lesson (basically one hour session per week) is ideal. The weekly lesson curriculum is designed to introduce material/skills that, with the development of good practice habits, can be processed and mastered within the week. Q: I have an audition coming up soon!! Can FindYourVoice2 help me prepare for this? A: We are happy to help you prepare for a successful audition! Artists interested in scheduling one to five sessions for coaching/instruction in audition preparation are welcome to contact us for info on availability. A few time slots per month are typically reserved for immediate need sessions. "Audition Prep" is a built-in part of every FindYourVoice2 track's curriculum. 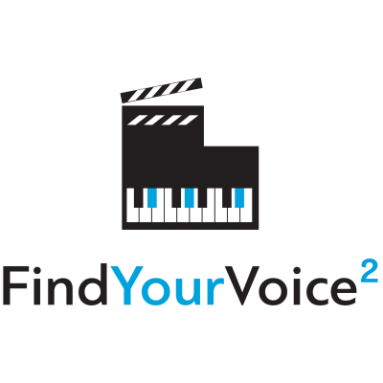 Students enrolled with FindYourVoice2 receive content specific training to prepare them for auditions, and, with any upcoming audition, lesson sessions are scheduled to highlight individuals' strengths and target areas for growth and improvement. Q: What about my vocal ensemble or choir? A: FindYourVoice2 serves vocal ensembles and choirs through coaching services and vocal workshops. Contact us to discuss how we can accommodate your singers! Q: Can I organize a small group for after school lessons? A: If you and a group of friends would like coaching as individuals and as a vocal ensemble or lead singers with a band, FindYourVoice2 can provide small group coaching for 2 to 10 at a time. Q: What about specialized curriculum development? A: Curriculum development services are available to interested individuals and organizations and are consultation and project-based. Services include curriculum writing/development in music, arts, cross-curricular mapping strategies, integrating arts into general studies classroom (math, science, language arts), interactive lesson plans, educator portfolio and assessment assistance. A: Email owner/instructor Charlee Graham at findyourvoice2@gmail.com or call 805.455.0872. Q: Where are you located? Do you offer Skype lessons? A: We are based Downtown, Memphis, Tennessee with teaching studio locations Downtown and Germantown, Tennessee. Lessons are offered in your home or studio. Online lessons offered via Skype and FaceTime.